How many times does a boy or girl ask to have a dog at home? But also, how many dogs do we see on the streets, abandoned to their fate because the expectations and the reality of having an animal at home do not coincide? 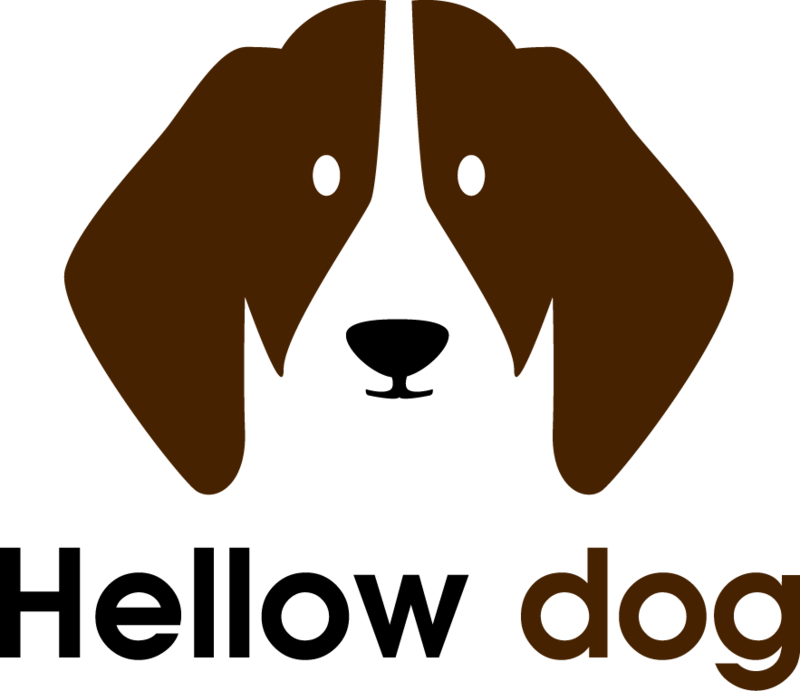 Having a dog is a decision that must be made responsibly, and that involves educating the youngest ones about their care, as well as the family and the teachers, in order to multiply the message. As in parenting, we also have the duties of a pet owner. Having a dog, a cat, or another animal is a privilege that can bring many benefits to our lives, but above all, it is a responsibility. Science has shown, through various studies, the positive impact that pets can exert on human life. They can, for example, lower blood pressure in the elderly, relieve depressive symptoms and prevent social isolation. But it is not enough that the relationship between humans and their animals is beneficial to the former. It must also benefit the animals themselves. Furthermore, having pets and being responsible is something that must go together, since to have pets at home you have to organize yourself to be able to take care of them entirely. When considering having a pet at home, the first thing you have to take into account is if you are really going to be able to take care of that animal perfectly. 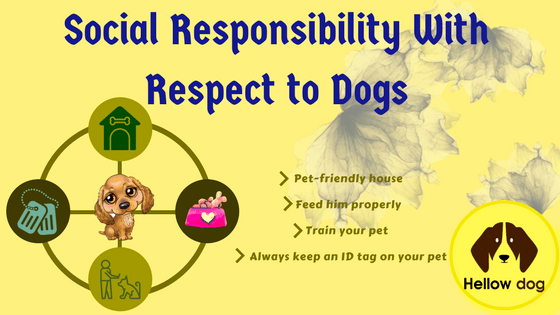 Having an animal at home is not a game because it involves a lot of responsibility and time: you have to walk the dog, feed your pet, take care of its hygiene, maintain an ideal environment for the pet, etc. So in addition to your ability, you will also have to assess the capacity of responsibility that your family members can have, especially if there are children. • Never leave your dog loose in the street. • When taking it out for a walk, always use a preferably short strap at all times, in order to better control the animal. And if it's too rough, take it out with a muzzle. • Your dog must always and at all times have the badges that identify him and certify that he does not have savagery. • Look for a sign that warns about the dog's presence in the yard. • If you move with your dog in your car, look for a harness, unique with a handle that is tied to the seat belt. By that way, you reassure yourself that the animal is safe and that it will not be able to leave the window after another dog or a cat or roll over the vehicle in the case of an accident. • Pick up the mess of your animal from the sidewalk. Nothing costs you to carry a bag and collect the excrement. It is not fair that you leave the sidewalks and patio of your neighbours rewarded with this unpleasant reality. • Pets require medical check-ups, periodically, just like humans. • Teach him basic obedience commands. This could save their lives in the event of an emergency and will make their presence more pleasant to humans. • Never leave it alone without toys to entertain itself. This will keep it active and busy and reduce the likelihood of getting into trouble. • Bathe them regularly. The moment of the bath is ideal to give them a good massage and check them thoroughly. This is how tumors and cysts and other medical problems are discovered, such as skin allergies and joint diseases. • Never tie up unnecessarily. Dogs without affection and without training are emotionally unfit, just like humans. • Do not confine animals in spaces such as small, closed cages or leave them under the sun without a roof. The questions are legitimate, but we must not forget the very positive aspects of raising a dog. One of such is the fact that dogs are an opportunity to teach the concept of responsibility to children. Many parents desire their children to learn from the youngest age, the concept of responsibility. It is customary to see children cleaning their room, taking out the trash, and doing other chores at home. But it is better to teach a child the notion of responsibility at an early age as they learn compassion, empathy, and loyalty issues. Having an animal that needs your attention and depends on you makes the child learn to have respect for the neighbour as well. What tasks can you assign to your child in this area? - Filling the bowl with water. - Taking the dog regularly for a walk. - Cleaning the dirt of the dog. All this requires discipline and allows the child to allow a child to develop a high sense of responsibility. Several jobs need to be taken care of when you have a pet. As a result, this Pet Responsibility Chart will help your children in learning how to care for an animal’s well-being and makes them think about the responsibilities that come with owning a pet. 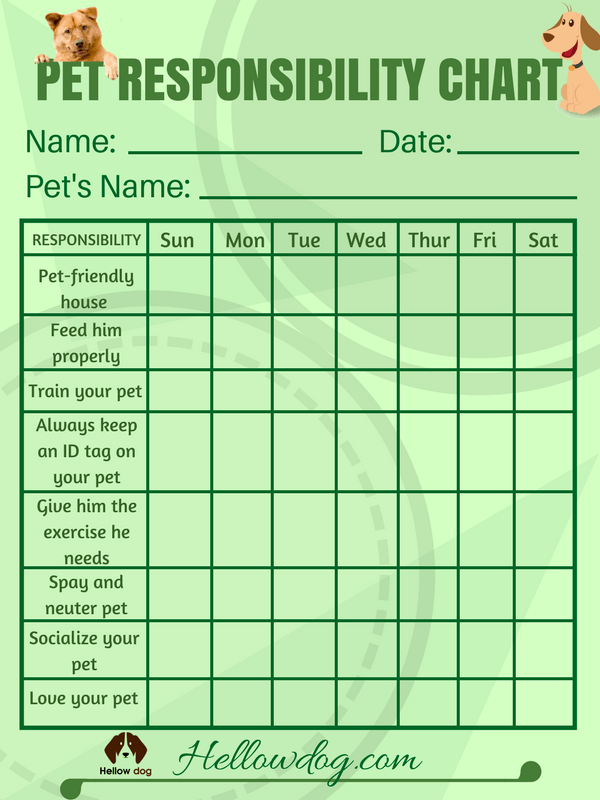 This Pet Responsibility Chart is also customizable, so you can type in your kid’s names, your pet’s name, as well as individually list that child’s duties related to the pet. Although dogs remember things like where we keep their food, which street is on the way home and who they already know, they only access this information when they need it - right now. They may be eating a bowl of ration or running after a ball: dogs live for the present moment. The past is gone; you cannot do anything about it. The future is unknown. The only thing you can truly appreciate and influence is the present. There are many stories about fearful and aggressive dogs that have turned into kind animals after they moved into a loving environment. Dogs overcome fear and insecurity with love, and humans can do the same. Love conquers all, really, and the first step is to love yourself. If you can change self-criticism out of self-love, life becomes easier no matter what the situation is. Resentments are born in our minds. Humans are probably the only species capable of holding a grudge. A dog will never be mad at you because you did not get an extra treat after yesterday's dinner. Grudging is an emotional burden that keeps you from moving forward in life. Forget about them, and you will understand what freedom is. Dogs are pack animals. They stay with their packs. They play with their packs. This is a good reminder to be aware that we are part of our "pack. "The golden rule "Treat others as you would like to be treated" applies here. Being loyal and trustworthy as a friend, lover, brother, partner or parent will enrich your life in countless ways. Have you ever seen a dog running around in circles or jumping for joy just thinking about winning a gift food or running after a ball? Would not it be nice if we could jump out too when we're excited? We live in such a rush that we forget to get carried away and celebrate good things. We are always thinking about what comes next. We live in a mysterious world, where the sun rises every day, flowers bloom and seasons change. There are many reasons to jump for joy. In conclusion, pets such as dogs play an important role that increases more and more daily. They transmit love, affection and as highlighted above, they are vital elements as regards instilling responsibility in children. Best article about how to care for your dog. I believe it is important to keep a lease on your Pit Bull due to fear from other dog owners. My daughter rescues dogs and that is how we became familiar with a Pit Bull. We absolutely love them. Poor dogs got a bad rap from bull fighting, which I feel people should do time in prison. Still, it is the owner’s responsibility to raise a dog of size and strength to obey. If your dog gets away, you may be very sorry. Police do not stop to ask you questions when they see a Pit Bull running free. Please do not crop their ears…. Thanks for your mindful comment. It really is food for thought.